Article 1.- To promulgate together with this Decision the Regulation on supervision consultancy on the construction of transport works. Article 2.- This Decision takes effect 15 days after its publication in "CONG BAO" and replaces the Transport Minister's Decision No. 1562/1999/ QD-BGTVT of June 29, 1999, promulgating the Regulation on supervision consultancy on the construction of transport works. Article 3.- The director of the Office, the chief inspector,.directors of departments, the director of the Department for Management of the Construction and Quality of Transport Works, and directors of specialized management departments of the Ministry, directors of provincial/municipal Transport Services, heads of concerned agencies, and concerned organizations and individuals shall implement this Decision. This Regulation provides for supervision consultancy on the construction of works, uniformly applicable to all investment projects on the construction of transport works funded with state budget capital. It is encouraged to apply this Regulation to projects funded with capital of other sources. a/ This Regulation applies to organizations and individuals directly engaged or involved in providing supervision consultancy services for the construction of transport works. b/ Supervision organizations set up by investors to supervise the construction of works shall, within the ambit of their role and assigned functions and tasks, abide by the provisions of this Regulation. 1.Supervision consultancy means the provision of consultancy services of managing and supervising the process of construction of works under contracts signed with investors. 2. Supervision consultancy organization means a contractor that provides supervision consultancy on the construction of works under contracts signed with investors. 3.Supervision consultancy individual means a person employed by a supervision consultancy organization or a person practicing independent supervision consultancy. 4. Organization providing designing consultancy on the construction of works means a contractor that conducts technical survey and designing (in 3-step designing) or survey and designing of working drawings (in 1- or 2-step designing) as a basis for making bidding dossiers for the construction of works under contracts signed with investors. 5. Work construction contractor (below referred to as contractor) means an organization constructing works under contracts signed with investors. 6. Work construction supervision practice certificate (of individuals) means a paper certifying the capability to practice work construction supervision, granted by a competent agency according to regulations (below referred to as certificate). Organizations providing supervision consultancy on the construction of transport projects shall be selected in the form of bidding or contractor appointment according to current regulations. g/ To inspect contractors' internal quality management systems: organizational systems and quality management methods and quality control divisions (from the stage of making working drawing dossiers, controlling the construction quality at construction sites and conducting internal take-over tests). o/ To inspect and urge contractors to make dossiers of completion of works and pay and finalize construction funds, then review and certify them for submission to competent authorities. a/ To inspect and certify contractors* general construction progress and the construction progress of each work item against approved construction schedules. b/ To inspect and urge construction progress. When necessary, to request contractors to adjust construction schedules to suit practical construction conditions and other conditions at construction sites which, however, must not affect overall schedules of projects. To propose measures to shorten the construction time while ensuring the quality and reasonable cost prices of works. If deeming that projects' overall schedules are prolonged, supervision consultancy organizations shall assess and identify causes, clearly indicating contractors' responsibilities and objective causes, then send written reports thereon to investors for submission to competent authorities for consideration and decision on the adjustment of projects' schedules. c/ To regularly inspect contractors' capability in terms of construction workers and equipment against construction contracts or successful bid dossiers and based on practical construction conditions; to request contractors to add, or report and propose to investors requests to add or replace contractors or subcontractors to ensure construction schedules when necessary. a/ To inspect and certify contractors' work volumes which satisfy prescribed requirements on quality and cost prices, compare them with approved contract dossiers and working drawings and practical construction conditions for incorporation in monthly or periodical payment certificates as required by contract dossiers, which shall serve as a basis for making payment according to regulations. b/ To propose solutions and promptly report to investors on work volumes arising outside contracts due to changes compared with approved designs. After reaching investors' written agreement, to examine design dossiers and calculate contractors" work volumes and cost prices resulting from such changes, make reports thereon and propose them to investors for approval. c/ To monitor and inspect adjustments, price increases or fluctuations; to respond to investors' requests in the elaboration and evaluation of additional cost estimates and the adjustment of cost estimates: to guide and inspect contractors in making dossiers of price increases or adjusting price fluctuations as prescribed in contracts or by current law. a/ To inspect contractors' measures to organize construction and ensure construction safety. To inspect labor safety and environmental sanitation management systems, the application and dissemination of labor safety measures and rules to individuals participating in contractors' projects. b/ To regularly inspect and request contractors to ensure labor safety and environmental sanitation at construction sites. 5. To inspect and request contractors to take measures to ensure and organize traffic, especially for projects on upgrading, renovation or expansion of traffic works in operation. a/To participate in dealing with incidents related to construction works and report them to competent authorities according to current regulations. b/ To make and send regular (monthly, quarterly and annual) and irregular (upon request or when necessary) reports to investors. Such a report covers the following principal details: project implementation situation; operation of consultancy organizations (mobilization and arrangement of supervisors, results of implementation of consultancy contracts); proposals and recommendations. 7. To join grassroots checking councils according to current regulations. 1. To check volumes of constructed works which satisfy quality requirements according to approved design dossiers, requirements of technical standards applicable to projects as well as current processes and regulations. 2. To request construction contractors to strictly observe contractual terms. 3. To reserve their opinions in supervision jobs they perform. 4. To propose to investors unreasonable points (if any) in blueprints and technical instructions of bid dossiers which should be changed or adjusted, and other matters according to current regulations. 5. To stop the use of materials or structure components failing to satisfy standard and quality requirements which are transported to, and request the removal of such materials or components out of. construction sites. 6. To suspend construction when detecting that contractors appoint incapable personnel or arrange improper or insufficient construction materials and equipment compared to signed contracts or approved dossiers of successful bids; or detecting that contractors construct works not according to processes, regulations or technical instructions in approved bid dossiers and design dossiers; or when construction methods affect adjacent works, pollute the environment and fail to ensure labor and traffic safety according to contracts signed between contractors and investors. 7. Supervision consultancy engineers should be furnished with necessary equipment to inspect the quality of contractors' construction jobs depending on the characteristics of each project. 8. Other powers as provided for by law. 1. To fully observe the terms of contracts signed with investors. To take responsibility before investors and law for jobs they perform under signed contracts. 2. To supervise the construction of works according to their capability and scope of operation indicated in business registration certificates and under law. To arrange capable persons who possess supervision consultancy practice certificates to conduct supervision. Not to take the names of other supervision consultancy organizations to participate in selecting and signing contracts on providing supervision consultancy on the construction of works. 3. To refuse to check works if construction contractors fail to satisfy quality requirements or decline other unreasonable requests of related parties. 4. To buy professional liability insurance. 5. Not to collude with contractors or investors in or commit other acts of falsifying supervision results or checking works not based on constructed work volumes. 6. If detecting contractors' violations of quality regulations and the provisions of Clause 6, Article 5 of this Regulation in the course of construction, to request contractors to halt construction and strictly observe the terms of contracts signed with investors or remedy consequences. After suspending construction, to immediately notify such suspension in writing to investors for consideration and decision. 7. To pay damages for intentionally falsifying supervision results for work volumes constructed not according to designs, construction regulations or standards or technical instructions applicable to projects. 1. The chief supervision consultant (project director) shall act as the highest legal representative of a supervision consultancy organization at the construction site, who is authorized by such organization to personally manage and administer the supervision consultancy unit in performing the tasks, powers and obligations defined in this Regulation and the terms of the contract signed between the supervision consultancy organization, and investor. d/ To sum up performed jobs and make regular (monthly, quarterly or annual) or irregular reports thereon according to regulations or at the request of investors. Chief supervision consultants may veto opinions or work resuits of members of their supervision consultancy organizations which are contrary to technical instructions, construction regulations or processes or bid dossiers. Chief supervision consultants shall take the main responsibility before supervision consultancy organizations and investors for the management and administration of supervision consultancy units at construction sites and for supervision consultancy jobs under signed contracts. Resident supervision consultancy engineers (below referred to as resident engineers) shall represent chief supervision consultants and managers of supervision consultancy teams in performing supervision consultancy tasks as authorized by chief supervision consultants in one or several bidding packages of a project. 1. Specialized supervision consultancy engineers (below referred to as specialized engineers) shall assist chief supervision consultants and resident engineers; inspect contractors' working drawings and construction measures; solve technical problems in the course of construction; check the quality and volumes of works and sign for certification as assigned by chief supervision consultants upon receiving contractors' written requests; report to chief supervision consultants or resident engineers on performed tasks and to-be-settled problems before making decisions; and perform other tasks as assigned by chief supervision consultants. 2. Supervisors shall supervise and personally inspect and monitor the course of contractors' constructional construction sites with respect to the adherence to approved working drawings and construction measures and technical standards applicable to projects and works. Supervisors shall immediately report to resident or specialized engineers on and remind contractors of errors or possible errors during construction as compared with approved designs or construction measures. Supervisors shall regularly be present at construction sites to guide, remind, monitor and record details related to contractors' construction items as assigned by resident engineers; and take responsibility before resident engineers, chief supervision consultants and law for their errors. 1. Supervision consultancy organizations must have the legal entity status and sufficient capability conditions suitable to grades and classes of works and jobs under Article 62 of the Government's Decree No. 16/2005/ND-CP of February 7,2005. 2. Class-1 supervision consultancy organizations may provide supervision consultancy on the construction of transport construction projects' works of special grade and grades I, II, III and IV or transport construction projects of groups A. Band C.
3. Class-2 supervision consultancy organizations may provide supervision consultancy on the construction of transport construction projects' works of grades II. III and IV or transport construction projects of groups B and C, excluding grade-I and special-grade works. a/ For group-A works: Having worked continuously for at least 7 years in providing consultancy on supervision, designing or construction of transport works; having worked as chief supervision consultant (project director) or co-director for a project (ODA projects) or deputy chief supervision consultant (project deputy director) for a group-A project, designing director or deputy director or executive director for the construction of a group-A project, or chief supervision consultant for two group-B projects. b/ For group-B projects: Having worked continuously for at least 5 years in providing consultancy on supervision, designing or construction of transport works: having worked as chief supervision consultant or resident engineer assistant (of ODA projects) or deputy chief supervision consultant for a group-B project, or having been in charge of designing or as executive deputy director for the construction of a group-A project or two group-B projects, or chief supervision consultant for two group-C works. c/ For group-C works: Having worked continuously for at least 5 years in providing supervision, designing or construction consultancy. 2. Resident engineers must possess practice certificates for supervising the construction of transport works; have worked continuously for at least 5 years in providing supervision, designing and construction consultancy, or worked as chief supervision consultant or been in charge of designing or as the executive director for the construction of a group-B project. a/ For group-A projects: Having at least 5 consecutive years' professional experience in designing, supervision consultancy and construction of transport works and having participated in providing supervision consultancy for group-B projects. b/ For group-B projects: Having at least 5 consecutive years' professional experience in designing, supervision consultancy and construction of transport works. c/ For group-C projects: Having at least 5 consecutive years' professional experience in designing and supervision consultancy of transport works. 4. Supervisors must possess practice certificates for supervising the construction of transport works: have professional capability to provide supervision consultancy on the construction of transport works: and have at least 5 years working experience, for engineers, or 7 years, for persons holding a collegial degree. a/ For chief supervision consultants and resident engineers: Indefinite-term labor contracts. b/ For specialized engineers (professional specialties): Labor contracts of a term at least equal to the project execution duration. c/ For supervisors: Labor contracts of a term of more than one year or equal to the project execution duration. 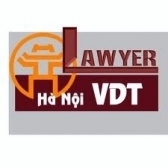 To practice supervision consultancy on the construction of transport works in Vietnam, foreign organizations and individuals must satisfy all the capability conditions specified in Article 67 of the Government's Decree No. 16/2005/ND-CP of February 7, 2005. and Articles 9 and 10 of this Regulation. 1. The relationship between supervision consultancy organizations and investors is a contractual relationship. Supervision consultancy organizations shall observe the terms of signed contracts and current law, ensuring truthfulness, objectivity and disinterestedness, and provide no consultancy that prompts investors to make unreasonable requests. Investors may not change at their own discretion the scope of authorization or make interventions affecting the truthfulness, objectivity and disinterestedness of supervision consultancy organizations.